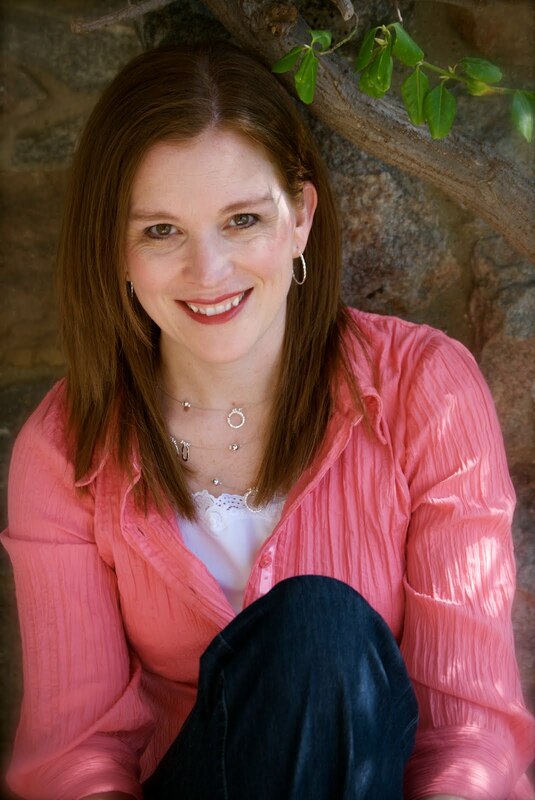 The Writers Alley: Debut Author Jody Hedlund, Interview & Giveaway! Debut Author Jody Hedlund, Interview & Giveaway! I have the privilege and honor to interview Jody Hedlund today at The Writer's Alley. I met Jody when I was first getting started in writing. We both were writing medievals at the time and swapped a few chapters. It didn't take long to realize that Jody was way out of my league. She is an excellent writer, able to capture you from the very first, and I am thrilled to be able to share a little bit more about her and her debut book, The Preacher's Bride. Jody Hedlund is a debut historical romance novelist who was a double finalist in the 2009 ACFW Genesis Contest in Historical Romance. She received a bachelor’s degree from Taylor University and a master’s from the University of Wisconsin, both in Social Work. Currently she makes her home in Midland, Michigan, with her husband and five busy children. Jody, do you recall how your interest in writing originated? In my mother’s womb. She consumed chocolate during pregnancy and therefore passed along to me the essential chocolate-loving trait that shapes every writer. With such a significant foundation, I was all but destined to become a writer! No, seriously. I think my desire to tell stories was written into my genes by God himself. When did you first consider yourself a bonafide writer? When I got my first rejection. Every writer knows they’ve graduated into bonafide writership once they’ve gotten their first rejection diploma. I’ve honestly lost count of how many books I’ve written—probably somewhere around ten. And I have to say, I fall madly in love with each one while I’m writing it. Usually I think each one is God’s gift to mankind—until reality slaps me across the face! Most recently I turned in Book 2 to my publisher thinking it was THE best book I’d ever written. They returned it to me asking for some pretty significant rewrites, letting me know just how subjective my love affairs are. How many manuscripts did you have under your belt before you began shopping for an agent? Many. But The Preacher’s Bride was the first book I wrote after coming back to writing after quite a few years off while I was busy having babies. You obtained the coveted agent, Rachelle Gardner. Tell us about your "call". Originally Rachelle had requested the full of The Preacher’s Bride. But because she was so busy, my manuscript sat in her slush pile for nine months. After I finaled in the Genesis contest through ACFW, I emailed her to let her know. Of course, that perked her attention. She pulled my manuscript from the slush pile, read it, and called me the next day. You have shared the joys and hardships of your publishing journey on your blog. What would you say was the most shocking discovery you made on this journey? By far, the most difficult aspect of the publication journey has been the rewrite process. I’m learning that most publishing houses ask their authors (even well-established authors!) for significant changes during the editing process. I had to make major changes on The Preacher’s Bride during the early editing stages. And as I mentioned, I just had to make some fairly big changes on Book 2 as well. I hear a writer's life changes drastically when they get published. How are you handling the changes and juggling all the aspects of writing and publishing? I joined the circus and had the master jugglers teach me how to toss plates and knives into the air through hoops of fire. That has helped me the most! Okay, so not really! Seriously, I struggle every day to balance the new demands. I try to set personal deadlines ahead of publisher ones so that I’m not running behind. I also keep myself on a fairly strict writing schedule. I block time into my day and stick to it. I give myself daily word count goals or number of chapters to edit, and I work hard to meet my goals. What advice would you give writers who are still on the journey to publication? Keep striving to learn more about the craft of writing. Write a book. Then read a couple books about fiction-writing. Practice the techniques in the next book. Learn, learn, learn. Write, write, write. Repeat ad infinitum. The Preacher's Bride is releasing next month. Are you going to have a release party? Celebrate with family? Friends? I’m celebrating over at my blog all of September with a countdown, first-sighting pictures, and weekly giveaways! Come over and join in the fun! And I’m having a Book Release Party at the end of September at a local bookstore to celebrate with all my real-life friends and family. From reading your blog, I know you are REAL. You share your heart…your joys, your fears, your life. Are there any fears running around in your head in regards to the release of your book? I’m scared sleepless. Literally! My mind has a hard time quieting down at night anyway. And now with the book releasing, my thoughts run wild in anticipation of what this whole experience is going to be like. Fortunately, I’ve been getting some positive early reviews that have quieted some of my anxiety! Tell us a little bit about The Preacher's Bride and how you came to write it. The Preacher’s Bride is a tale about finding true love amidst hardship, discrimination, and persecution. In 1650s England, a young Puritan maiden is on a mission to save the baby of her newly widowed preacher—whether her assistance is wanted or not. She’s determined to save a family. He’s determined to preach the truth. Neither expect to fall in love. This book is inspired by Elizabeth Bunyan, the second wife of John Bunyan who was author of Pilgrim’s Progress. As I was reading a biography about John Bunyan, I ran across a small excerpt about Elizabeth. I loved the brave way she defended John during one of his trials when he was under arrest for his “unlicensed” preaching. Her strength to face a court of persecutors and her determination to faithfully support her husband touched me so deeply, that I decided her little-known story needed to be told to the world. 1. I eat pie for breakfast. Yep. Anytime there’s pie in the house, I indulge myself in a piece for breakfast, especially if it has fruit in it of any kind because then I’m getting a couple servings of fruit. 2. I’m a fast walker. My kids usually have to run to keep up with me everywhere I go. I’m sure it looks quite comical to see me, the mother duck with my five youngun’s trailing after me, tripping over themselves! 3. Writing quirk? While I write, I stick bananas in my ears to block out the noise of my children. Okay, so not really. But I do wear headphones and listen to Pandora a LOT during my writing time. Jody, thank you so much for letting me interview you! It is such a joy to follow your journey! Jody is graciously offering up a copy of her debut book, The Preacher's Bride to a lucky commenter. If you want to be considered for the drawing, please leave your email address in the comment section .... sherrinda(at)gmail(dot)com.... and you will be entered for a chance to win. The winner will be announced Sunday, September 19, here at The Writer's Alley. American writer here in the literary desert of New Zealand.... would LOVE to read The Preacher's Bride. Please, please, please! What a great premise for a book! I always wondered about Elizabeth after reading a lovely quote in which she defended her husband. I'd love a chance to receive this book. Really great interview, I'd so love to read this book. The cover is lovely! Please add my name to the giveaway list. Thank you and congratulations on your book. Great interview!! And Jody - I already knew you ate pie for breakfast. I've read some of your tweets and I'm always like, "Atta girl!" Because sometimes (shhhh!) I eat brownies for breakfast and once I even ate ice cream, and there's not even fruit in those!! Jody I have a suggestion for your breakfast. Banquet has new microwaveable Fruit Pies. My favorite is Cherry-Berry Pie (with Oven baked taste. Microwave for 3 or 4 minutes and serve with cinimmon or maple syrup. For a snack serve with ice cream on top. Delicious! I loved this interview! Great cover! I also love your sense of humor, Circus training? My Hubby would agree with you and eating pie for breakfast...he also helps me out cleaning up any leftovers, so I can make more!! Great cover and looks like a wonderful read! YAY, Jody! You certainly have an interviewing knack. How entertaining. I can't wait for The Preacher's Bride to come out. Awesome, awesome interview! Well done, both of you. This sounds like a good book. I love the time period. Howdy everyone!!! Thanks so much for all of your words of encouragement this morning!! And it's SO good to know I'm not the only naughty breakfast eater! :-) The trick is getting in those sweets when the kids aren't around, right? Loved Jody's sense of humor! I just may have to adopt her practice of sticking bananas in her ears to block out noise while writing! LOL! Intriguing premise for your debut novel too. Look forward to reading your debut novel, whether I win a copy here or not. I would love to learn about the ways of the Puritans. Congrats on your debut novel! Please enter me. Thanks. desertrose5173 at gmail dot com. Hi Jody and Sherrinda! What a fun interview. Please don't enter my name in the drawing. 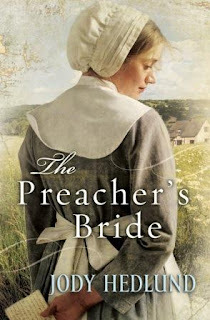 I was thrilled to find The Preacher's Bride in my local Christian bookstore this past Friday, rushed to get it before they closed, and am enjoying the story immensely. I only wish I weren't quite so busy getting ready for the ACFW conference because I'd like to drop everything and finish the book. As it is, I stayed up until 1:30 a.m. reading it last night/this morning and had to force myself to put it down. It's that good! Sherrinda, as you said, Jody is an excellent writer. But I have to challenge you on your "out of my league" statement. As Jody shared in the interview, she's written many books over the years. That experience, coupled with her obvious talent, is what you're seeing in her current stories. I've read some of your work, and you have plenty of talent. You are just at a different place in your journey. I happen to recall that you placed first in the prestigious Touched by Love contest with your first story, which shows me you are indeed a gifted writer in your own right. I would love to be entered into the giveaway! Thank you! This sounds like a very interesting book, I would love to read it. Oh Keli! I saw the picture of you with Jody's book! How fun!!!! I can't wait to get my hands on it! And I'm sure, like you, I will be up late reading away! You are right about us being on different stages of the journey. Jody was sweet enough to offer to swap chapters and I totally jumped on that! I'm still plugging away, learning and hopefully growing in the craft. I've been waiting to read this book for so long. I'm so excited for Jody! A great interview, Jody. This is it, girl! You're book is almost here. I can't wait. Great Interview. I would love to win and read "The Preacher's Bride". I'm really enjoying seeing everyone here today!! You're enthusiasm is so catching! :-) Thanks for making my day! I enjoyed the interview with Jody Hedlund. Please enter my name into the drawing for "The Preacher’s Bride". Thank you! I'm a Preacher's Bride of nine years and would love to win a copy of The Preacher's Bride. Great interview, I would like to read about this courageous woman. P.S. Who could turn down pie for breakfast. Jody, thanks so much for sharing your thoughts in a down-to-earth way. I think the number of comments above is not only indicative of people who are anxious to read your book, but writers who were touched with your responses. It was definitely my pleasure to do the interview, Mary! Hey Jody...just curious...what is your favorite pie of choice for breakfast? Fruity ones or the occasional chocolate? LOVE the story - and the inspriation? Elizabeth Bunyan? Wow. But I guess such a passionate man (kind of like Jonathan Edwards and his wife Sarah) needs a very strong & determined woman to back him up. Yes, indeed! Pepper and I are very much kindred spirits. Though I must say that I've missed you, Pep! With your new job and my crazy August, I feel so out of the loop! After conference, maybe things will settle down and we can start swapping chapters again, girl! I miss Eisley. If I'm remembering right, Jody's husband used to be in ministry. Am I thinking clearly here, Jody? Hahaha I eat pie for breakfast too, my favorite is definitely wild raspberry! Count me in on the giveaway! I'd love a chance to win this book! Thanks! You're right about the ministry. I grew up a PK. And my hubby was a youth pastor for a number of years when we were first married. I loved being here! You guys have a wonderful blog! And my kiddos range in ages from 13 down to 4. My youngest is turning 5 very soon. *sob* My sweet little baby is growing up! Just stumbled across this website and it's great! Just as good as this book looks - definitely one for my wishlist. So GOOD to hear that from you. And I AMEN it too. My five range from 12 down to 3 1/2. TOTALLY understand chaos. Sounds like a good book! Please enter me, thanks. This sounds like a great book. Looking forward to reading it. Thanks for giving away a copy. Ooh, I've been trying to get a copy of this everywhere! Looks like a really cool book. I would be honored to read your book, Jody! Great interview! Can't wait to read this book! Please enter me! Looks like a great book! Please enter me! Ooh that book looks good! Please enter me! Everyone, thanks so much for entering for a chance to win Jody's debut book! Winner will be announced Sunday! What a fun interview, and this book sounds great! Great interview! After all this time reading Jody's blog, I didn't know her book was based on John Bunyan's wife. I love these kind of historical romances! Please enter me!!! I'm sorry, but the contest is now closed. The winner was Carol Wong. Thank you for your interest in Jody Hudlund's book, The Preacher's Bride!